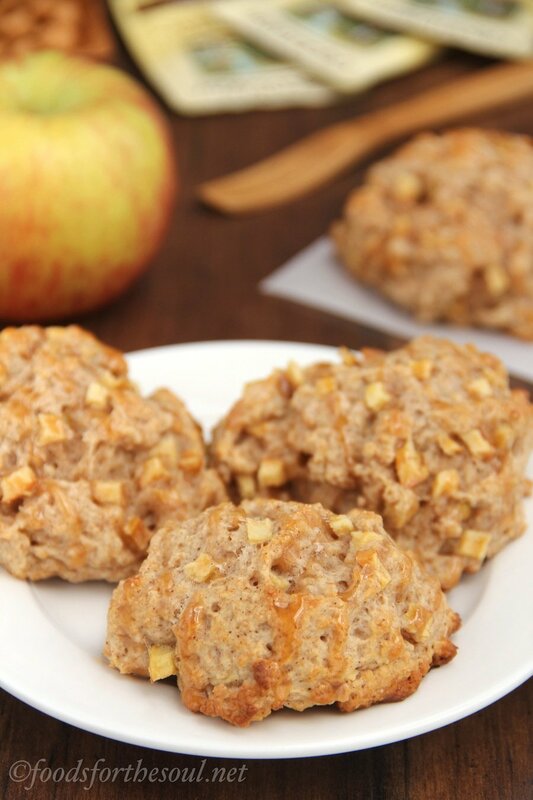 An easy recipe for fall-flavored breakfast pastries. Soft on the inside with a light crust on the outside, they’re positively irresistible—and secretly skinny too! Whenever we catch him chewing on something he isn’t supposed to, we gently shove a toy towards his mouth while sneakily removing the tempting tree branch or tanbark previously occupying his jaws. With a huge basket full of toys from our two previous dogs, this little puppy is already spoiled… But as an empty nester, my mom still dotes on him by buying lots of new tennis balls and squeaky stuffed animals! When she arrives home from work in the afternoons, Mom grabs a small handful of treats and ushers the puppy into the backyard where they work on various tricks. So far, he’s gotten really good at “Sit” and “Stay,” but his “Down” and “GENTLE!! !” could use a little work next week! One day last week, while I putzed around in the makeshift laundry room “kitchen,” Mom deviated from their routine and brought the puppy into the front yard for training instead. Somewhat isolated from the street yet still without a fence, the puppy decided to make a run for it and chased birds, squirrels, and wild turkeys off of the lawn. Slightly frazzled, Mom tried calling and chasing after him, but after napping all afternoon, that little pup had way too much energy and sprinted all around the lawn! 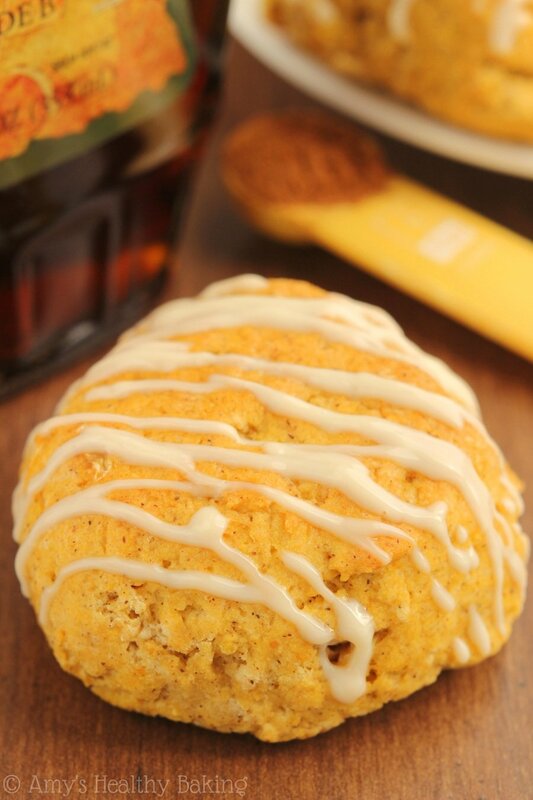 Maple Pumpkin Scones! 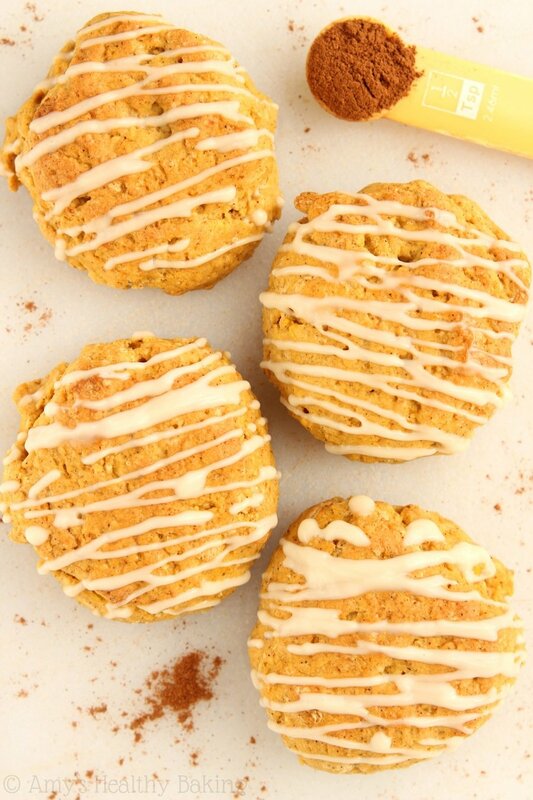 Full of cozy fall flavors, these lightly spiced breakfast treats are perfect for slowly savoring on chilly mornings. With their sweet hints of maple syrup and irresistible pumpkin taste, they easily beat out pancakes—and they’re just as simple to make! 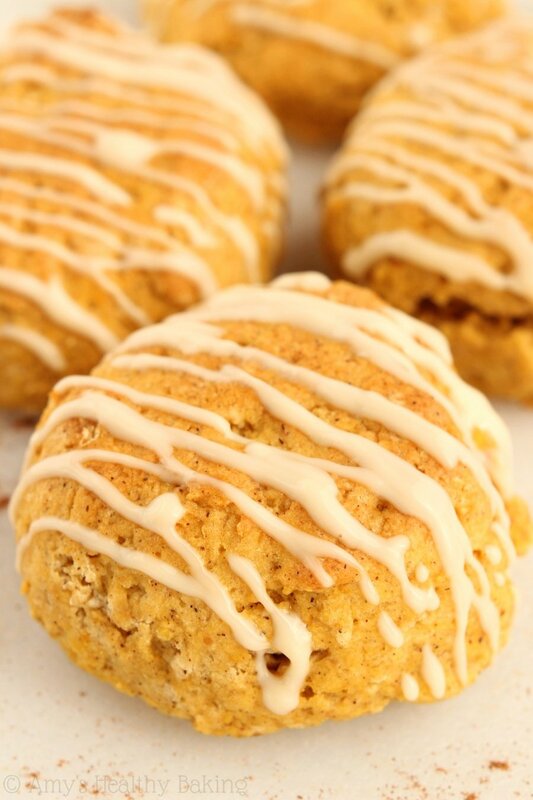 Many people think of scones as dry, crumbly, or fat-laden pastries. 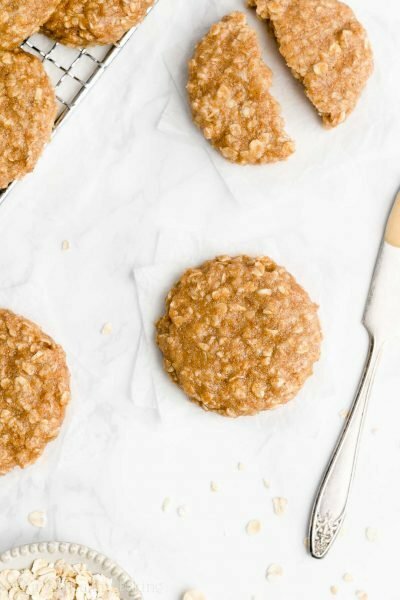 These healthy ones are anything but! 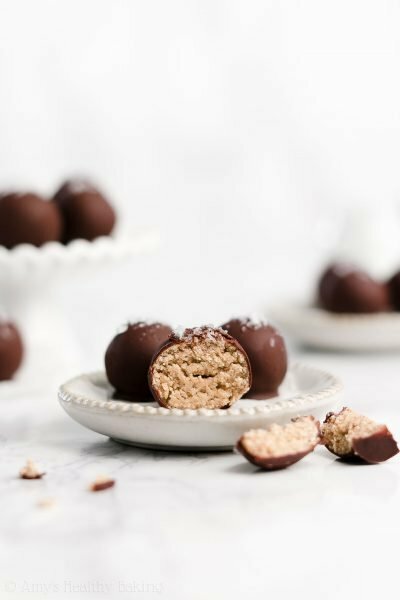 They’re made from only wholesome, clean eating ingredients—nothing refined or processed at all. Both whole wheat and gluten free flours work really well in this easy recipe. Regardless of which you choose, make sure you measure it correctly with the spoon-and-level method. If you scoop the flour directly from the bag, you’ll end up with 1.5 times as much, which would really dry out the scones. Tip: For the best results, use a kitchen scale! I own and love this inexpensive one, and it really helps cut down on dishes too. 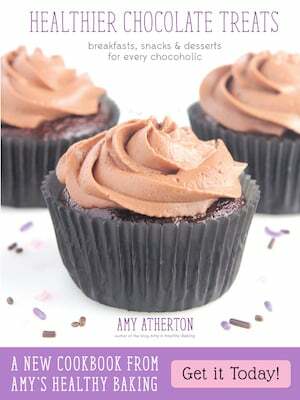 Fewer measuring cups to wash = one happy baker! 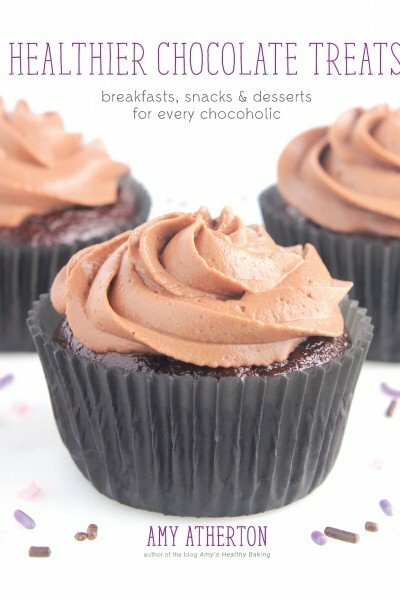 You only use 2 tablespoons of butter in this entire recipe. 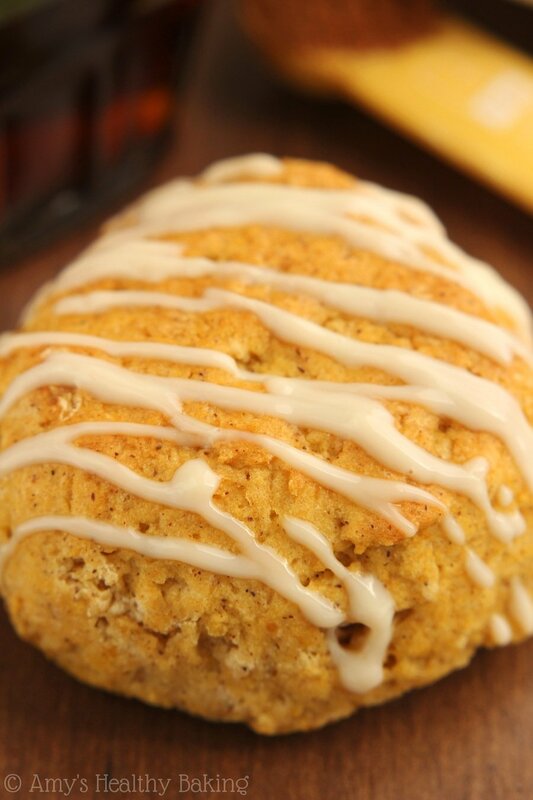 Compared to ½ to 1 cup of butter in typical scones, that’s practically nothing! 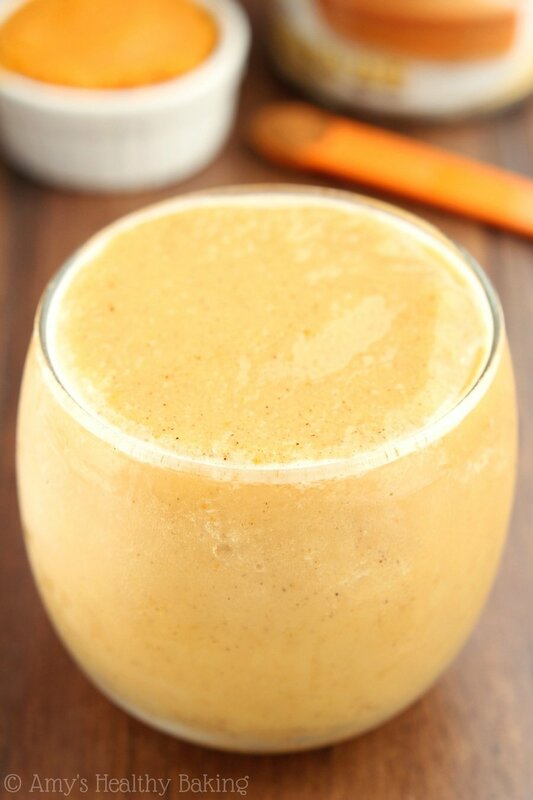 The rest of the soft texture comes from the pumpkin purée (NOT pumpkin pie filling… that’s loaded with extra sugar! ), which adds tons of moisture without the extra fat and calories. These were seriously some of the softest, moistest scones I’ve ever tasted, and both of my parents were completely in awe of their incredible texture! When stirring everything together, do NOT over-mix the dough. Over-mixing does two things to scones: (a) it over-develops the gluten strands, making them tough and chewy, and (b) it warms up the chilled butter, which ruins the light airy texture of the insides and turns the scones dense and gummy instead. Mix the dough until all of the ingredients are just barely incorporated; then shape it into slightly flattened spheres to bake. 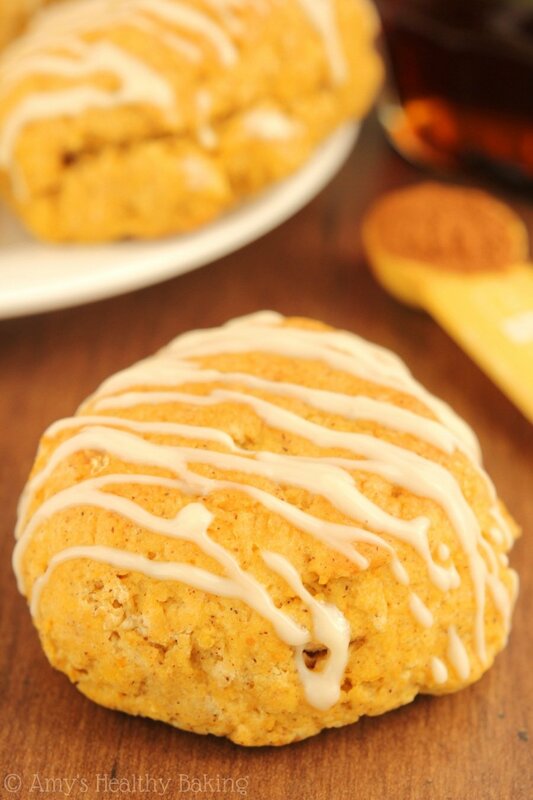 To me, scones must have a tender inside and lightly crisp crust on the outside. Without the crust, they’d just be misshapen muffins! So to create that, we’ll brush them with a combination of milk and maple syrup. The milk helps form the crust, while the sugar in the syrup slightly crystallizes while baking, adding to the characteristic crispness. It’s the best part, especially when you add the glaze! And the glaze is super simple… Just Greek yogurt and maple syrup. The syrup is already sweet enough on its own and doesn’t need powdered sugar too, so the yogurt helps thicken it to create a drizzle-able (yes, that’s now a word!) consistency. For picture-perfect drizzles, use a zip-topped baggie with the corner snipped off. It always works like a charm! 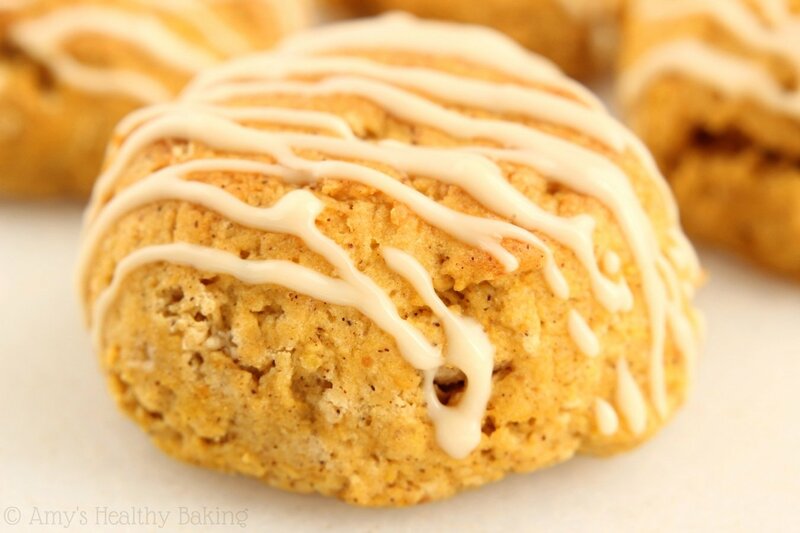 Although they look really impressive, these Maple Pumpkin Scones are a cinch to whip up! 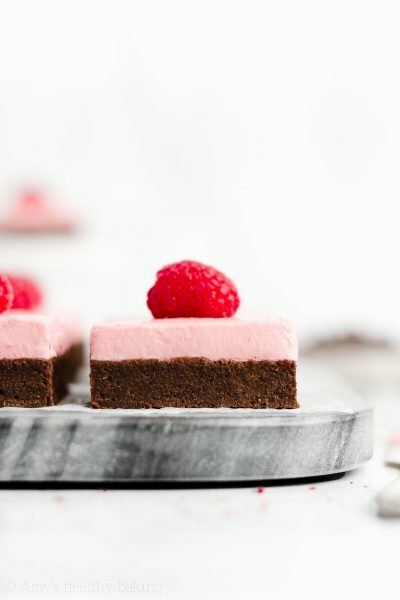 From start to serving, they’re ready in just 45 minutes, making them perfect for weekend brunches or satisfying any carb cravings. 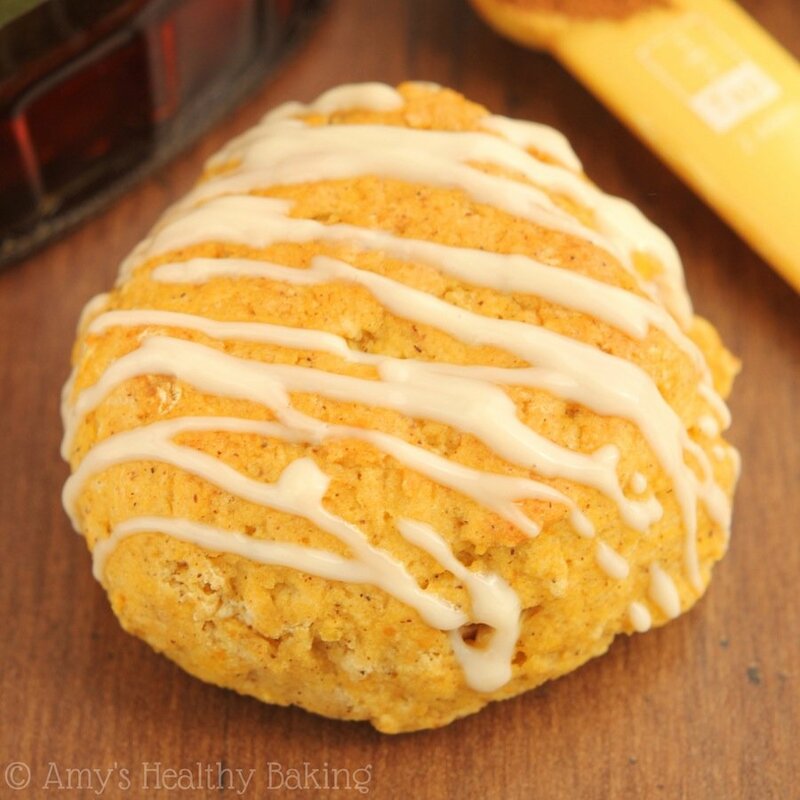 These fall-flavored scones are so simple to make! The insides are soft and tender, while the lightly crisp crust on the outside is the perfect complement. Preheat the oven to 425°F, and cover a baking sheet with foil. Lightly coat the foil with nonstick cooking spray. 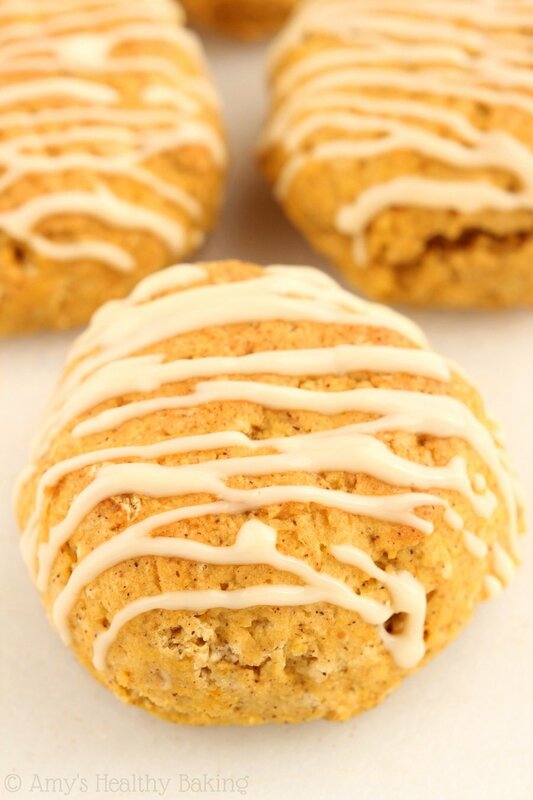 To prepare the scones, whisk together the flour, baking powder, cinnamon, and salt in a medium bowl. Cut in the butter with a pastry cutter or the back of a fork until the mixture resembles a fine meal. Add in the pumpkin purée, 8 teaspoons maple syrup, and 10 teaspoons of milk, mixing until just incorporated. Divide the dough into 8 equal portions, and shape each into a ball. Place onto the prepared baking sheet, and flatten slightly. 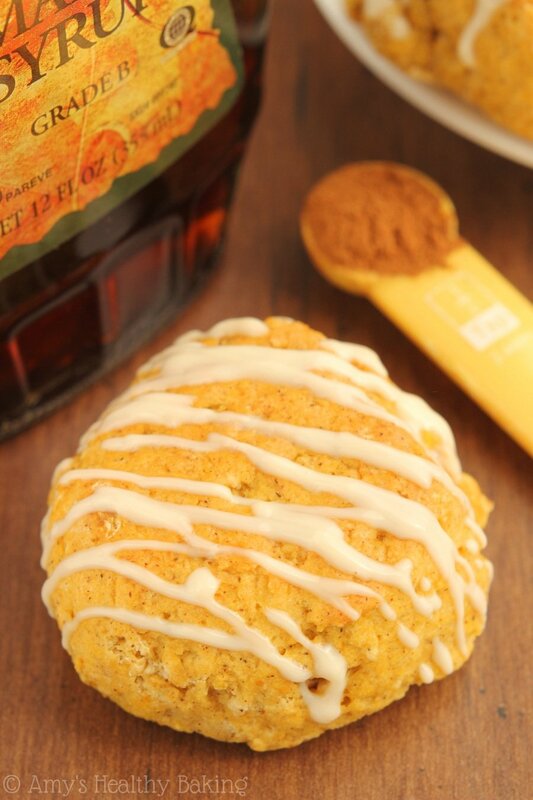 Mix together the remaining 1/8 teaspoon maple syrup and ½ teaspoon milk in a small bowl, and brush over the tops of the scones. Bake at 425°F for 12-14 minutes, or until light golden brown on top. Cool on the pan for 5 minutes before turning out onto a wire rack. Once the scones have cooled, stir together the yogurt and maple syrup in a small bowl. 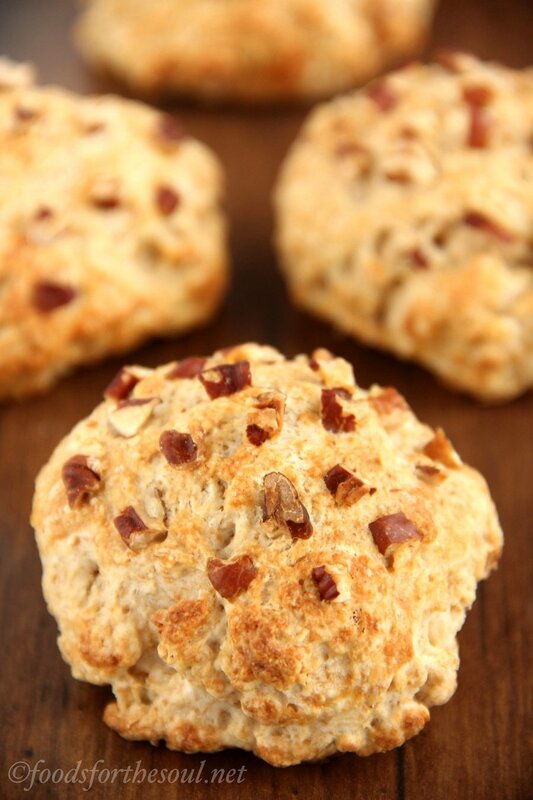 Add to a small zip-topped bag, snip off the corner, and drizzle over the cooled scones. 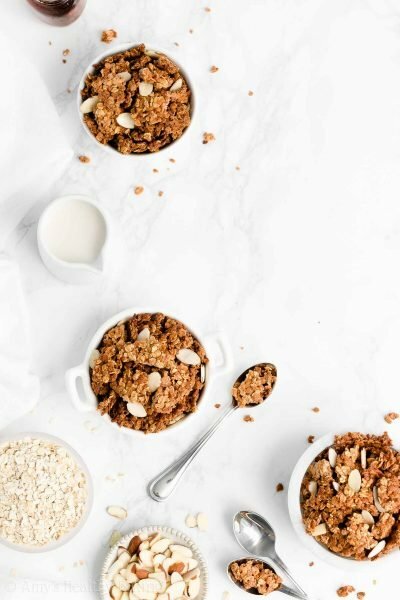 For a vegan version, substitute Earth Balance buttery sticks in place of the butter, your favorite non-dairy milk in place of the nonfat milk, and soy, coconut, or almond yogurt in place of the Greek yogurt.